Virgin Hotels is taking on the world. Wherever you’re headed, we hope to see you there. 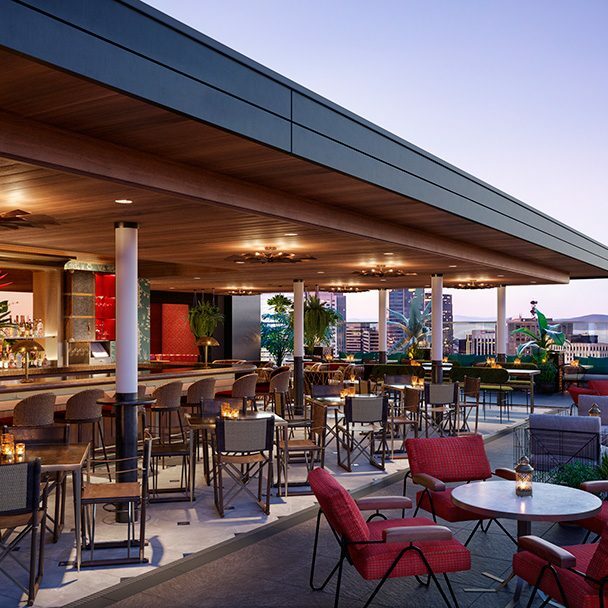 Located South of Market just steps from Yerba Buena Gardens, Virgin Hotels San Francisco will feature 192 Chambers and 2 Penthouse Suites; multiple dining and drinking outlets, including the brand’s flagship space, Commons Club, a coffee shop, meeting spaces, and a rooftop bar. Virgin Hotels is heading south to Dallas, where it will build a new home in the Design District. The neighborhood has been coming to life over the last few years, transitioning from an endless scene of warehouses to chic stores, eclectic galleries, upscale restaurants and in 2019, Virgin Hotels Dallas will join the neighborhood and offer a new lifestyle option. The new build will feature over 200 Chambers including Grand Chamber Suites, along with multiple dining and drinking outlets, including the brand’s flagship space, Commons Club, a rooftop terrace with a pool, gym and spa, plus numerous meeting spaces. Branded as “Music City” and historically nicknamed “The Athens of the South,” Nashville has experienced explosive economic growth and broad appeal far beyond its star-studded cultural arts and music scene. In 2013, Nashville was the second strongest performing market of the top 25 in the US in terms of RevPAR growth, and is projected to be the strongest performing market in 2014. Virgin Hotels Nashville will feature 240 guest rooms, multiple concept suites, food and beverage outlets, including the brand’s flagship space, Commons Club, and meeting/event spaces. Virgin Hotels is also making a new home in the Big Apple. Virgin Hotels New York will be located on the northwest corner of 29th Street and Broadway in the NoMad neighborhood, close to many famous NYC attractions. 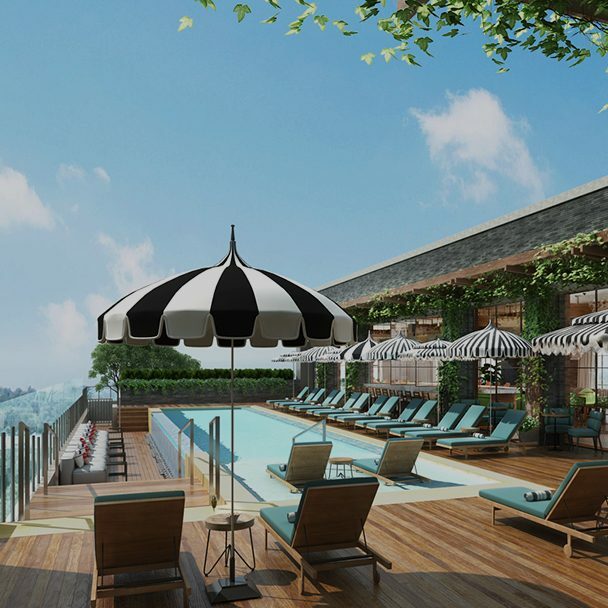 This is a new build that is expected to open in 2020 with 500 guest rooms, meeting spaces, and multiple food and beverage venues, including the brand’s flagship space, Commons Club. The Lam Group will develop New York addition, incorporating expertise from their work with numerous clients like Aloft, Sheraton, Fairfield, Wyndham, Ascend and Hampton. A re-conceptualized and revitalized property, the Virgin Hotels Las Vegas, is estimated to open in late fall of 2019. The Virgin Hotels brand’s entrance into the entertainment capital of the world is an exciting development – one that will see innovative design fused with irresistible amenities in order to give guests experiences that will surprise and delight. The hotel will feature 1504 well-appointed Chambers, Grand Chamber Suites and Penthouse Suites; a 60,000 square foot, fully-renovated casino, multiple pools over five acres, world-class restaurants, lounges and bars, including new nightlife venues and the brand’s flagship space, Commons Club, as well as numerous meeting and convention spaces. 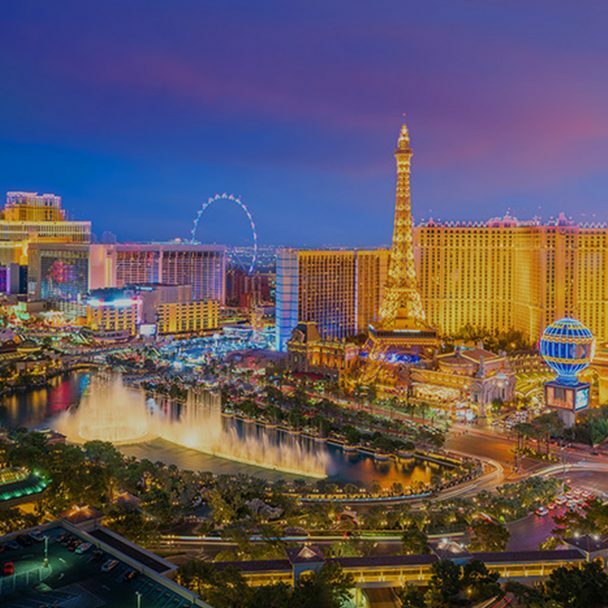 Located just off the famous Las Vegas Strip, Virgin Hotels Las Vegas will be a destination for locals and guests alike, offering premier food, beverage, and entertainment experiences. “Our move into Silicon Valley is the perfect example of this, given our dedication to thoughtful technology within our guest experience,” says Raul Leal, CEO of Virgin Hotels. Virgin Hotels Silicon Valley will complement The Fields, a development community comprising more than 1,100 residential units and 150,000 square feet of retail space. Named after the “fields of science” that are deeply engrained within the local tech community, this development is a large factor in the city of Milpitas’ transformation into a major tech-hub and residential area. “Perfectly positioned in the tech capital of the world, we’re pushing the boundaries of style and convenience in modern living, creating an environment uniquely suited to today’s residents and tomorrow’s entrepreneurs” says Lyon Living CEO, Frank T. Suryan, Jr. “From the Virgin hotel, to the world-class training facility, art installations, pop-up shops, upscale retail & restaurants, and sustainability-driven grocery store, we’re redefining Silicon Valley living”. Virgin Hotels Silicon Valley, anticipated to open Fall 2020, will feature 200 Chambers and Grand Chamber Suites; multiple dining and drinking outlets, including the brand’s flagship space, Commons Club; a coffee shop; numerous meeting spaces; and a rooftop bar and live music venue. Strategically located between the I-680 and I-880 freeways, the development is also adjacent to Milpitas’ Great Mall, which is currently undergoing a $20 million renovation. Virgin Hotels has announced plans to open and operate a new hotel in the Warehouse District of New Orleans. Expected to break ground in October 2018 and open its doors in late 2020. Virgin Hotels New Orleans is situated in the city’s Warehouse District at 550 Baronne Street. The up-and-coming area sits directly next to the Central Business District and is home to a growing number of new restaurants, galleries and shops. The new-build hotel will feature 225 chambers, the brand’s flagship space, Commons Club, a rooftop pool and lounge, gym, and dedicated meeting and event spaces. RTKL Architects, Mathes Brierre Architects, and Broadmoor Construction will complete the hotel. Virgin Hotels’ Vice President of Design Teddy Mayer has also tapped a local design firm to bring an authentic New Orleans flair to the project. 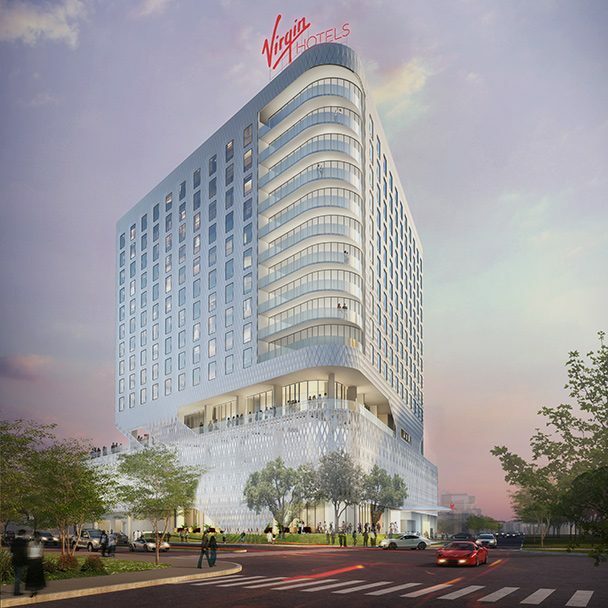 Virgin Hotels Washington D.C. Union Market will feature 178 Chambers and Grand Chamber Suites; multiple dining and drinking outlets, including the brand’s flagship space, Commons Club; a coffee shop, panoramic rooftop lounge with an infinity pool, as well as multiple meetings and events spaces. 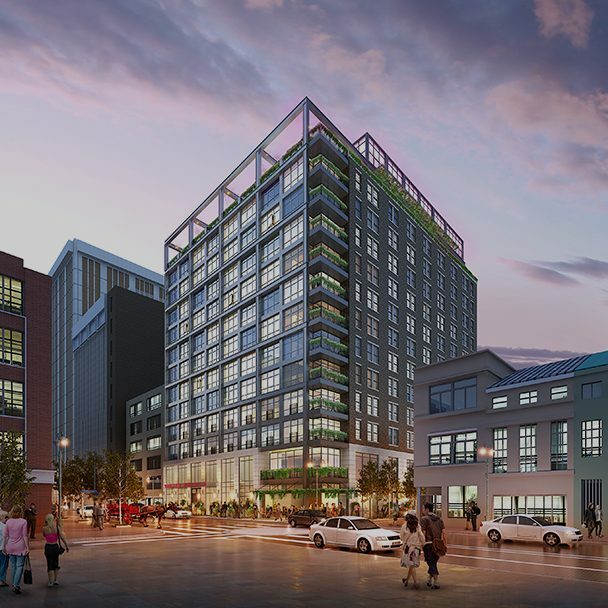 The hotel will also honor the history of the Union Market area, as well as the artistic roots of the site’s former structure, with the implementation of its own artists-in-residence program. Numerous art studios will be located on the second level and alley way, along with an outdoor garden featuring sculptures by local artists. 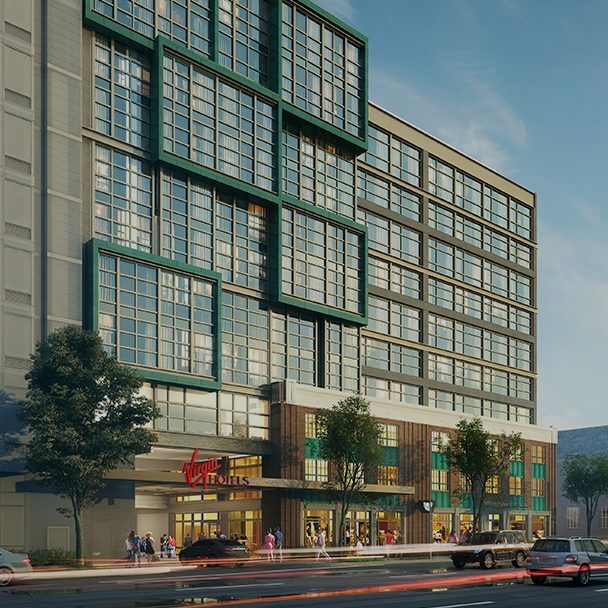 The hotel is a new build and will be located at 411 New York Avenue, serving as neighbor to the Union Market, an acclaimed culinary destination inspired by Seattle’s Pike Place Market. A hotbed for development and creativity, the Union Market area is experiencing exponential growth and will welcome many exciting residential, culinary and retail projects in the years leading up to and beyond the hotel’s anticipated opening. The new lifestyle hotel is slated to open in 2020. 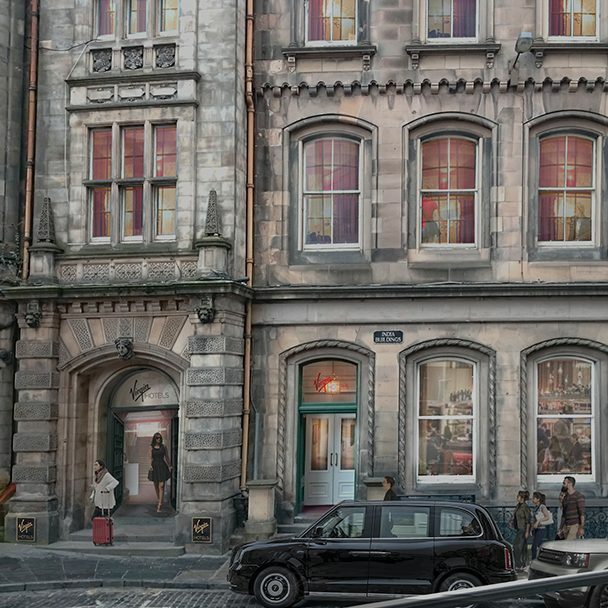 Located in the landmark India Buildings in Edinburgh’s Old Town near The Royal Mile, the space itself will feature 225 Chambers and multiple dining and drinking outlets, including the brand’s flagship space, Commons Club. The property will be a stunning mix of old and new reflecting the city’s eclectic and energetic style, while remaining true to its historic heritage. Edinburgh has so much to offer as a top travel destination in the UK and internationally. Virgin Hotels Edinburgh will be completed in partnership with owner Flemyn and developer Jansons Property, and asset managed by Siggis Capital. Located in the heart of downtown, Virgin Hotels Palm Springs will feature 150 Chambers and Grand Chamber Suites; multiple dining and drinking outlets, including the brand’s flagship space, Commons Club; numerous meeting spaces; and a rooftop terrace and pool overlooking the Santa Rosa and San Jacinto Mountains as well as a new outdoor public event space from the Palm Springs Art Museum, offering guests complimentary VIP seats to concerts, movies and other cultural performances. Virgin Hotels Palm Springs will be a new build designed by local architect Chris Pardo. 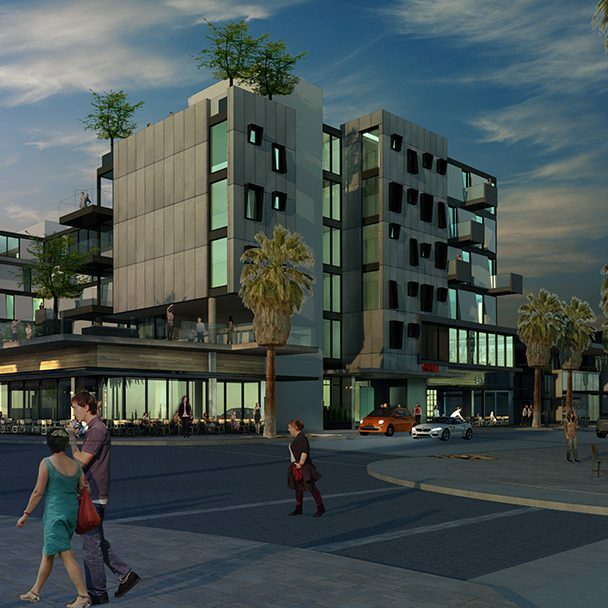 Located in the heart of downtown at Main Street & Palm Springs Canyon Drive, the hotel will be surrounded by historic desert modern architecture and within walking distance to an array of art galleries, vintage shopping and top-notch restaurants. Other nearby attractions include the Indian Canyons Reservation, Tram Way, Joshua Tree, and miles of dedicated trails located in the scenic surroundings of the San Jacinto Mountain. 2019 virginhotels.com All Rights Reserved.